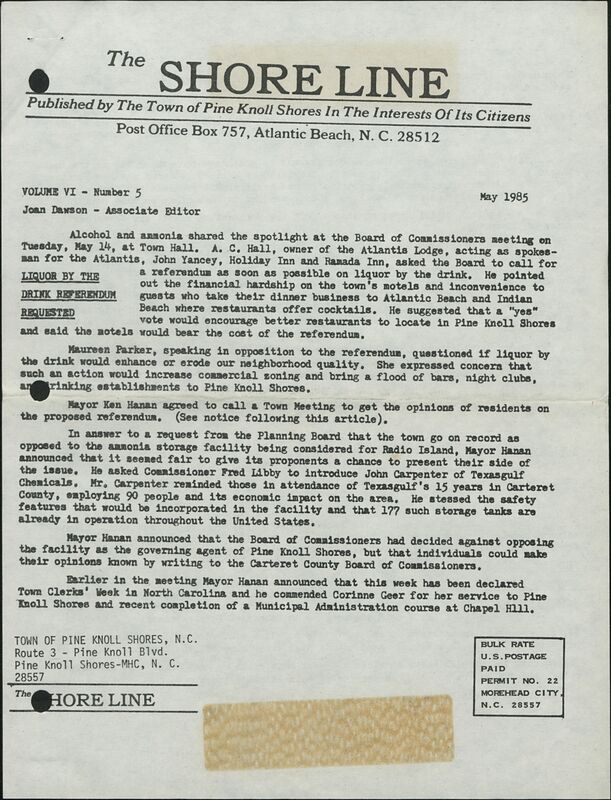 More than 40 years and 5000 pages of newspapers from Pine Knoll Shores, NC have been added to DigitalNC. 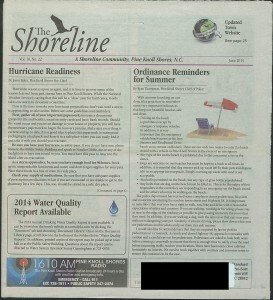 Pine Knoll Shores is close-knit population of nearly 1,500 members. 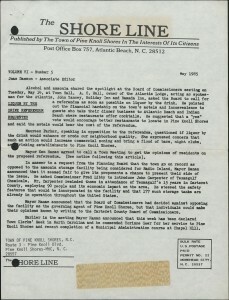 It is located in southwestern Carteret County, along Bogue Banks. However, this beach town is anything but sleepy. Documented through the 40 years of newspapers, the Pine Knolls Shores community is bustling, taking an active role in the lives of its members. 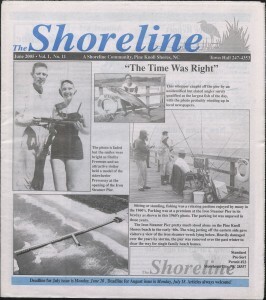 Clubs, volunteerism, safety, and events fill the pages of the Shoreline and represent the personality of the small coastal town. 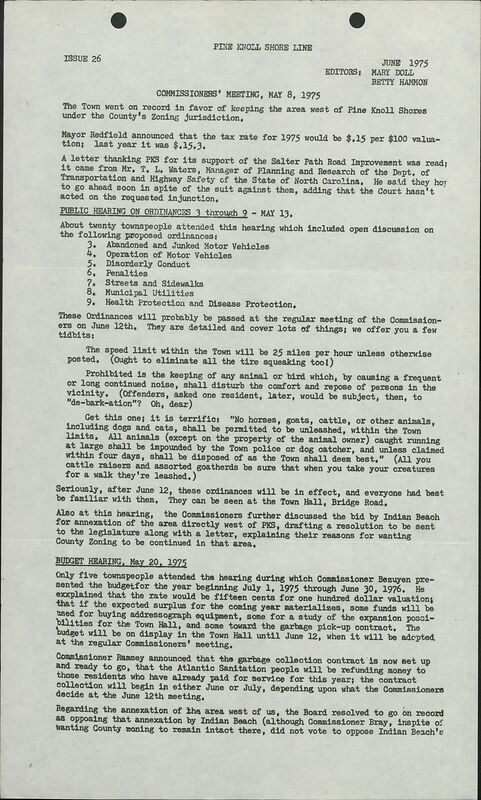 With a population of roughly 650 in the early 1980’s, the town has grown into a vibrant community. Over the decades, it is interesting to see the technological and graphic changes that occurred across each issue, with each decade becoming more complex. 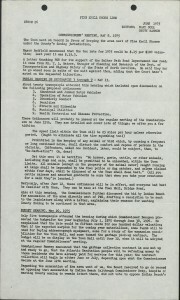 This is a useful resources for those interested in genealogical research or information about small community planning. 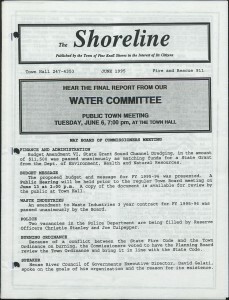 Pine Knoll Shores has created an excellent record of how a small town can grow together over several decades. 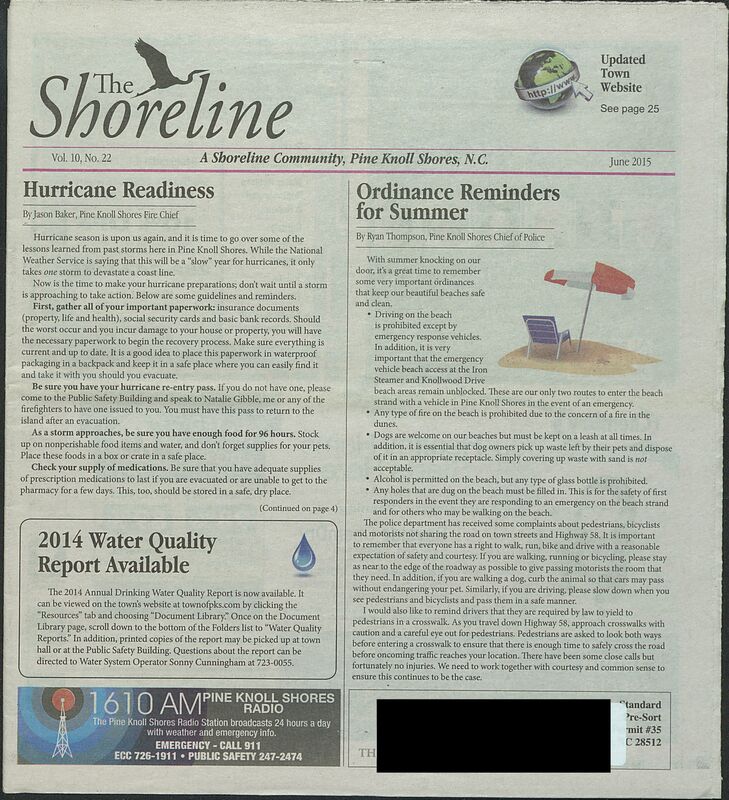 You can view the entire collection of newspapers from Pine Knoll Shores here. 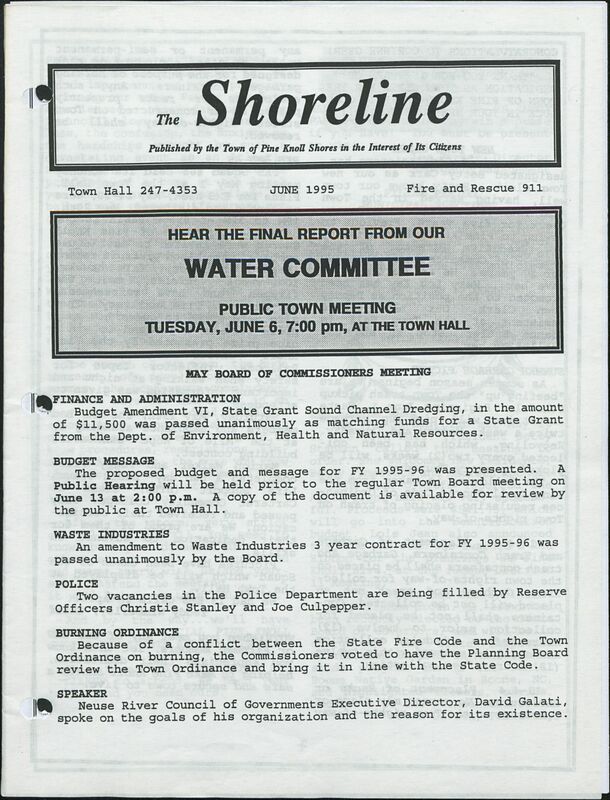 You can also learn more about the town of Pine Knoll Shores and the History Committee by visiting their contributor page or by visiting the town website.